Several studies have linked obsessive–compulsive symptoms to specific obsessive–compulsive cognitions, however methodologies have varied, and no study has determined obsessive–compulsive symptoms using the most widely used clinician rating scale, the Yale–Brown Obsessive–Compulsive Scale (Y-BOCS). Considering that almost all studies that used factor analysis to ascertain OCD symptom dimensions were based on the Y-BOCS and that self-report instruments assessing obsessive–compulsive symptoms correlate poorly with the Y-BOCS, there is a need to use the Y-BOCS to examine the relationship between obsessive–compulsive cognitions and obsessive–compulsive symptom dimensions. This study examined the relationship between five Y-BOCS-derived obsessive–compulsive symptom dimensions and the three obsessive–compulsive cognitive domains identified by the obsessive-beliefs questionnaire (OBQ). 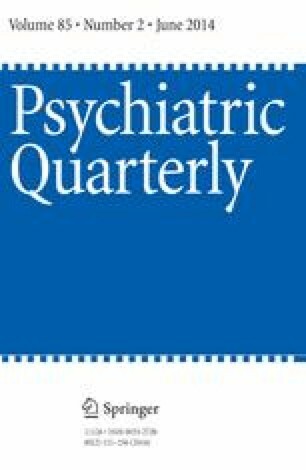 The symmetry/ordering symptom dimension was associated with increased perfectionism/intolerance of uncertainty, the unacceptable/taboo thoughts symptom dimension was associated with increased importance/control of thoughts and the doubt/checking symptom dimension was associated with increased responsibility/threat estimation. There was no statistical evidence of an association between any OBQ belief sub-scale and the hoarding symptom dimension nor the contamination/cleaning symptom dimension. The findings encourage symptom-based approaches to cognitive-behavioural therapy for some OCD symptoms and call for further research on cognitions associated with contamination/cleaning symptoms and hoarding. The authors are grateful to Colin Slocombe from ACEDA Adelaide, Michelle Graeber from ARCVIC Melbourne, Scott Blair-West of the Melbourne Clinic, the Blacktown and Kogarah OCD Support Groups, the Mental Health Association of NSW and the Penrith Mental Health Practitioners’ Network. None. This study received funding from the Nepean Medical Research Foundation, a competitive Pfizer neuroscience grant and a grant from the Discipline of Psychiatry at the University of Sydney.